We found these 2 hq photos from The Linda McCartney Story. We love this movie so much, Liz is so good in it! Hey everyone, we’ve just found out that The Linda McCartney Story is on Netflix in Germany, Switzerland and Austria. If you live there, you need to watch this wonderful movie where Elizabeth plays an amazing and touching Linda McCartney. If you’ve never seen it, believe us, you really should. Liz is incredible in that role! If you know that it’s also on Netflix in more Countries, let us know, we’ll post about it here for other fans. We also found some amazing reviews about Elizabeth’s performance. You can read them all at this link. We added some new photos from various events and some bigger ones from Liz’s projects. Enjoy! Hi guys, we updated the gallery with some scans from the past. 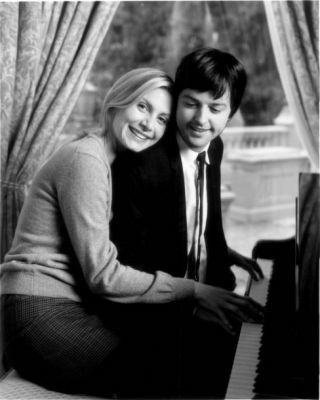 But Elizabeth Mitchell is just as good as Linda, she may not look exactly like Linda McCartney but she does this fantastic job of playing the character and in particular getting across the depth of feeling that Linda had for Paul. It is because both Mitchell and Bakewell commit to bringing the love story to life that you end up forgiving some less than good casting such as Canadian Matthew Harrison doing Mick Jagger. And the good thing is that most of the bad casting choices come early on so get past them and it gets better. What this all boils down to is that “The Linda McCartney Story” is actually not a bad movie considering it is a TV Movie. It has issues such as some poor casting but with the emphasis being on the relationship between Linda and Paul it does a good job of getting across the love they hade for each other. These are 2 different premiere trailers of The Linda McCartney Story. I just love this movie. Elizabeth is terrific!